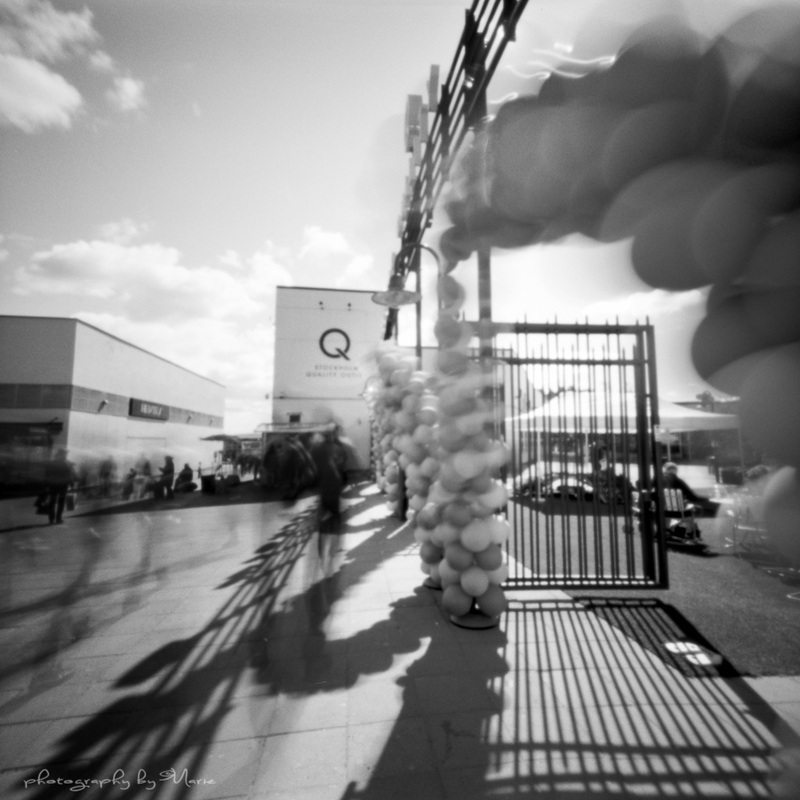 Last Sunday the 28th of April we celebrated the Worldwide Pinhole Photography Day. It was very very fun! I had three cameras with me, my Zero 2000, Holga 120WPC and my newest love, the Harman Titan 4×5, which I just LOVE!! 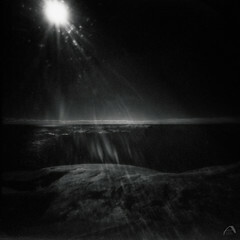 It has all I’ve dreamed of with pinhole photography. Here is my favourites from the day, one from each camera, but on the Pinhole Day site one can only upload one single image, so after having checked out the “competition”, I chose the one from my Holga. excellent work on WWPP. I actually really like the redscale shot of the tree, which is odd for me because I normally hate redscale. Hey!!! welcome to the most exquisite club!!! I see that you used three different formats! I like the Holga, but the one from the Titan 4×5 is gorgeous, Marie!!! Hehe, thanks a lot Jesus. 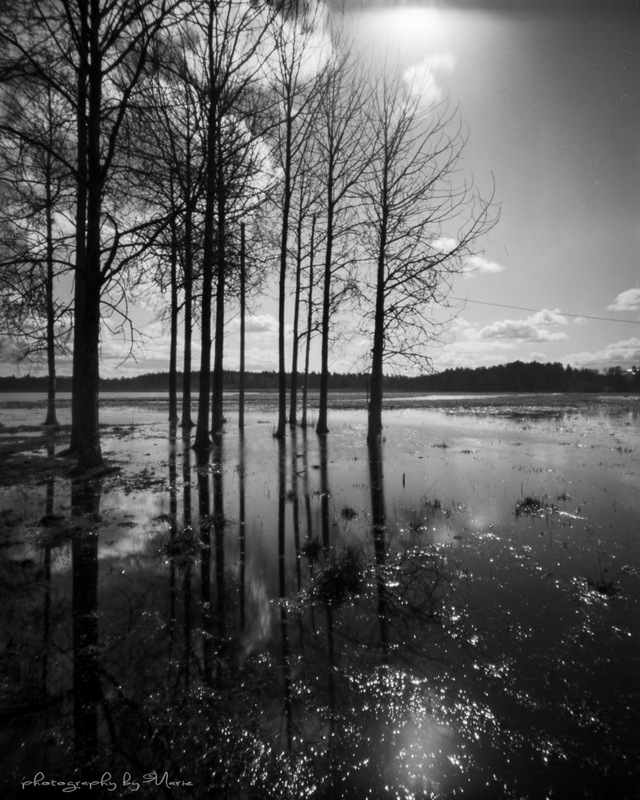 Yes, I love the 4×5 too, I think it is my favourite, it is the one I would choose to hang on the wall, but for the pinhole day site I needed something that stood out from the masses, then the holga image was outstanding. The Harman Titan is a gorgeous camera, it gives me the “soft sharpness” I have looked for. 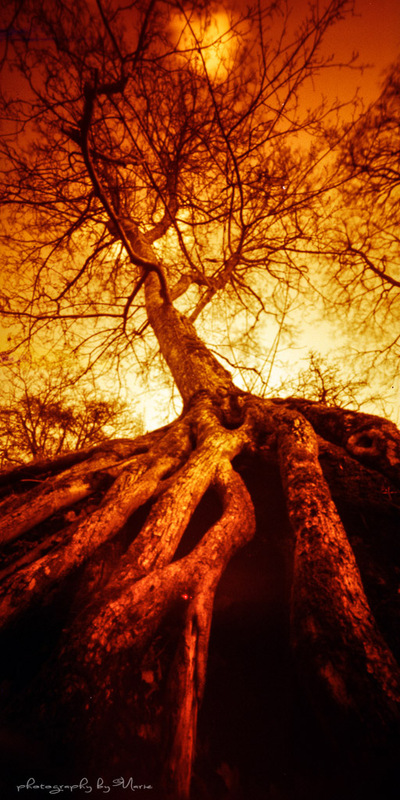 The redscale image is absolutely terrific Marie it has a really strong presence with its exaggerated perspective as you look up at the tree from those tentacle like roots. Have a great weekend…….and more lomograhy redscale I just love it! Thank you very much James, I’m happy you like it. It is the roots you see, they are “climbing” at the side of the rock. It is the same tree as in this post https://shimmeringgrains.com/2013/02/19/tree-tuesday-in-colour-or-black-and-white/ . It is a tree I just have to revisit from time to time. I feel the same about revisiting favourite spots/locations. and as for the tree it has such strength so I can see why you like to revisit it. 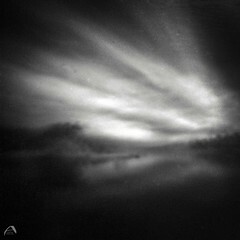 Didn’t know there was a World Pinhole day! Where does one find such facts? Wonderful variety of subjects, moods and of course pinhole cameras. I think its so funny how pinhole photographers collect pinhole cameras. Theyre each such unique characters. I agree with Simon that my favorite is the redscale tree. I enjoy the lines, the distortions and the incredible sense of height. Cheers to a very successful pinhole day Marie! The “sharpness” comes from two things. 1 I like the soft sharpness from these cameras, the very unsharp ones doesn’t thrill me. 2 I scan my negs as .tif files and then they are as soft as you say, but to put them online, I have to convert them to .jpeg, and that is a kind of post editing, including some sharpening I didn’t ask for, but they maybe look a bit more sharp than they really are. 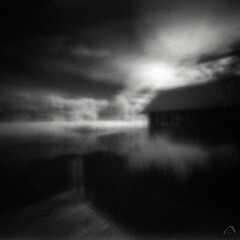 I did some shots with my (new to me) 8×10 pinhole camera on Ilford MGIV RC paper (http://urbanhafnerphotography.com/blog/2013/5/2/worldwide-pinhole-photography-day-2013). Didn’t work out as I had expected, but it was a first for me. So all things considered it wasn’t that bad and I’m sure I will get better at it. These are really cool. Very nice work.